This is the second time I’ve watched AvP Requiem after seeing it when it first came out. I’ve generally avoided the movie like the plague but I ended up with the Blu-Ray set a while ago so I thought I’d review it for the website. The movie takes place straight after the first AvP and the Predalien causes a scout ship to crash onto a small town in Colorado called Gunnison. The hybrid escapes along with many Facehuggers and the whole town is overrun. A lone Predator is sent from the Predator homeworld to destroy the aliens and the hybrid. Meanwhile, a group of townspeople must work together to survive. So this is what Alien and Predator franchises have become? It just boggles my mind how this movie was greenlighted in the first place. The concept of aliens invading a small town is just beyond ridiculous. The script was written by hack-for-hire Shane Salerno. 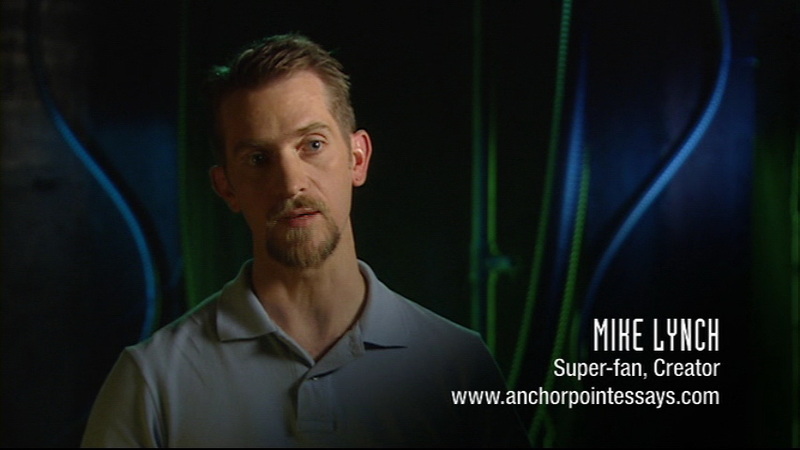 He previously did extensive re-writes to Paul Anderson’s script on AvP. What can I say? Salerno makes Anderson look like an award-winning scriptwriter. For starters the script is full of ghastly characters. The movie starts off introducing you to the main characters, trying to build some kind of backstory for them. It actually feels like a soap opera at times. Ricky the pizza boy, likes a girl called Jesse and it’s all full of teen angst. I can’t quite believe this is in an Alien movie. The main characters include Kelly, played by Reiko Aylesworth, her daughter Molly (Ariel Gade), Dallas (Steven Pasquale) and his brother Ricky (Johnny Lewis). There are a lot of other pointless characters which are fortunately killed off rather quickly. Kelly and her daughter Molly are supposed to be some twisted homage to Ripley and Newt from Aliens. They even look similar. Hell, even little Molly delivers the line “Mommy, are the monsters gone?” at the end of the film. It’s cringeworthy stuff, to say the least. Acting is downright shocking in places, particularly Steven Pasquale. He was badly miscast in the role. Dialogue is equally as terrible. Let’s not forget, this is the Strause’s directorial debut. I can’t really blame the Strauses for the entire movie. Fox had already decided to go with Salerno’s script before the Strauses came long. Some of the Strauses’ ideas are odd though. A lot of the homages in the film were downright tiresome. They simply put stuff in there simply because it looked cool regardless of how it fitted into the story. A plus for the movie is that it’s R-Rated. It’s does go the extremes for this as well. We’ve got limbs being chopped off, people being decapitated, Chestbursters emerging from women and children. The only downside is that a lot of it is CGI blood instead of practical blood. But hey, at least Fox didn’t wig out and give us a PG13 movie. I need to mention the lighting. The cinematographer on the picture was shockingly Daniel Pearl who worked on the Texas Chainsaw and the recent remake. He’s a great cinematographer but this wasn’t his best work at all. It wasn’t down to him but a bizarre stylistic choice of the Strauses. To say the movie is dark is an understatement. You can barely see the titular creatures when they’re on the screen, particularly in the sewer or in the night-time scenes. If you actually watch the trailer on the disc or online, you’ll actually notice the difference. For the creature effects, 20th Century Fox once again hired Amalgamated Dynamics to do the job. Their work on this wasn’t all that bad though. The Aliens have one noticeable change. The Strauses insisted on using ridged heads like in Aliens instead of the smooth dome in the other movies. Apart from the heads, they’re the same design as they were in AvP. The Predalien is alright. It’s certainly nowhere near as bad as what the Newborn was in Alien Resurrection. It ticks all the boxes. The Predalien has dreadlocks, mandibles, it’s bigger than the Predator, which matches what we know from the games. The Predator is what most concerns me and ADI have managed to create something fairly special here. The creature is much sleeker, and athletic. His facial design is great. They opted for silicon this time so the face looks a lot more like the original. They sorted the teeth out too. It’s not as good as the original Predator from 1987 but it’s better than the AvP Predators, that’s for sure. Ian Whyte also returns to play the Predator and he doesn’t disappoint. I think he actually plays it better in this movie than he did AvP. After the scout ship crash lands on Earth, the Predator, nicknamed Wolf, is alerted on the Predator homeplanet and comes to Earth to clean up the mess. I will say the Predator homeplanet looks amazing. It is one of the highlights of the film, even if it only lasts for a few seconds. It’s still nice to see what their homeplanet might actually look like. Anyway, the Predator comes to Earth and begins tracking down the Aliens and the Predalien. The first battle is in the sewer and he reveals a few new gadgets. New to the Predator arsenal are mines and a punching glove. He also uses a strange blue liquid to dissolve any alien remains. The shurikens also make a return too and we later see him using a whip weapon. I’m not really a fan of the new weapons, to be honest but at least the blue heat vision from the original movies makes a return. A lot of the battles in the movie are rather short, none of them come close to Grid vs Celtic battle from AvP. A lot of the battle scenes were apparently cut down. They had potential to create a really great fight scene on board of the Predator ship and it was over before it began. I noticed in the commentary, the Strauses frequently said it was down to not having enough time and money. The Aliens are basically cannon fodder in this movie. A lot of the time, the movie feels like a Predator movie that just happens to have Aliens in it. It feels like Wolf is virtually invincible and really, the only Alien that is strong enough to take him on is the Predalien. Speaking of which, it also happens to have a few traits. Someone at Fox thought it would be cool for the Predalien to not only look like a Predator but also act like one, even going as far to use weapons and cloaking. Fortunately, this was never agreed but you’ll notice a few nods to this idea. When Wolf is examining the crashed ship, there was supposed to be skinned Predators that the Predalien had hung up. You can still these in a few frames. You’ll also notice when it kills the Chef in the diner, it rips his spine out. Something that really bothered fans was the Predalien’s reproduction method. I have absolutely no idea why they did this but the Predalien forces Chestburster embryos down the throats of pregnant women. After some time has passed, multiple Chestbursters emerge from the woman’s stomach. It’s a different way of creating more Aliens but it’s so far away from what’s canon. I understand in the absence of a Queen, the Aliens need to find a way to reproduce but it made no sense why or how the Predalien had the ability to do this. The final battle with Wolf and the Predalien is very short. For some reason, the Predator takes his mask off for the fight. Just as they impale eachother, the military drop a nuclear bomb on the town killing everyone. I guess that’s one way to keep continuity. 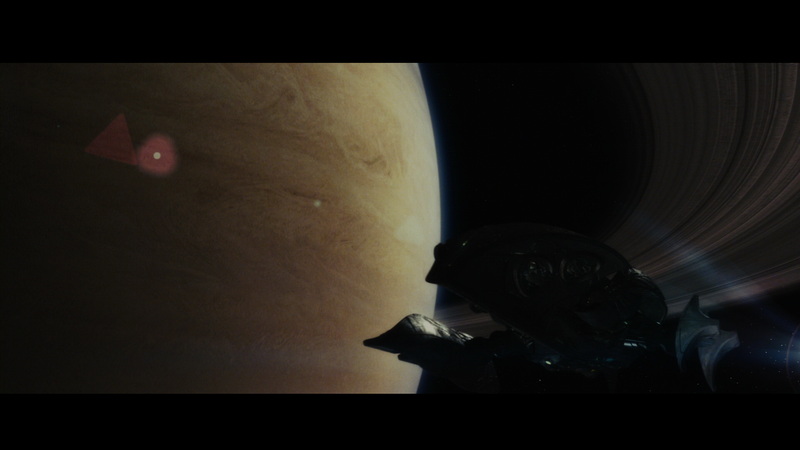 The final scene in the movie suggests humans use Predator technology for space travel. The essential problem with this movie is that it completely throws continuity out the window. The whole Alien saga was about making sure the aliens never made it to Earth. Guess what? The aliens have been there the whole time. I can deal with Anderson’s take on it because Antarctica is extremely remote and the military never knew about them. But in this film, the military are very much aware of the aliens. How can they justify dropping a nuclear bomb on a town even if it is to ensure containment of the creatures? It just doesn’t make any sense. There are some positives in the movie. Brian Tyler’s score is a perfect blend of Alien and Predator themes. The Wolf Predator is a great Predator and the visual effects are quite good. There are a couple of good sequences with the Predator homeworld and the scene where the army gets slaughtered. It’s very reminiscent of Aliens. In fact, I said in my original review, if the studio had set the movie around the army, it would have been far more interesting. The script is just a mess though. It’s about as bad as an AvP film could have got. Actually, no I better not say that. I thought AvP couldn’t get any worse, and then Fox managed to outdo themselves. It’s possible, one day, we may even get a movie far worse than AvP Requiem. The studio provided a 1080p transfer that is presented in a ratio of 2.40:1. As I already the touched on, the movie is so damn dark but this is a choice of the film-makers rather than the transfer. It’s because of this why it’s really difficult to judge the picture quality on the disc. A lot of the detail is simply lost. Setting that aside, the black levels are great. In terms of audio, the disc offers a DTS-HD MA 5.1 track. Brian Tyler’s score is fantastic to listen to. The Alien and Predator sound effects are all very clear and striking. The audio in the movie is great. 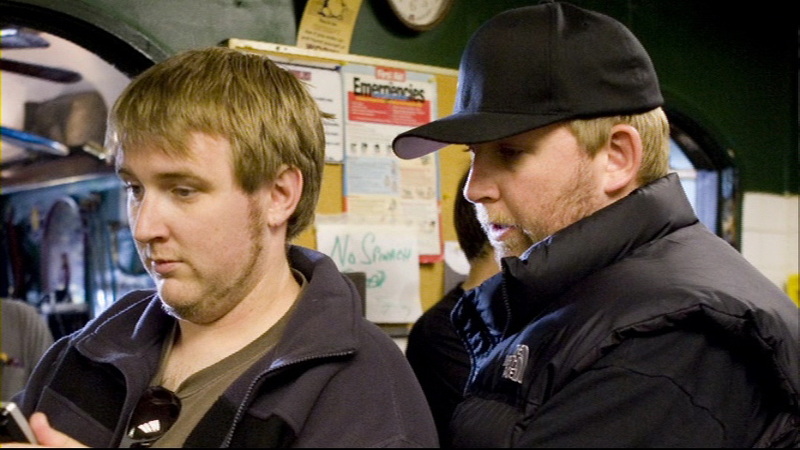 The first commentary features directors Colin and Greg Strause, and producer John Davies. They talk about their experiences on production, some of the problems they had with the weather etc. They reveal what scenes they removed and mentioned a lot of the Alien/Predator scenes would have been better if they’d have had more time and money. I couldn’t help but laugh a few times when John Davis praised Salerno for his script. They can’t be that naive. The second commentary features ADI duo Tom Woodruff and Alec Gillis. Alec does most of the talking here. They both re-tread the same ground as the first commentary. They discuss the various effects in detail and how they did them. What challenges they faced this time around. It’s a bit boring, to be honest. One annoying thing I found is they are constantly advertising their book in the commentary. They must have mentioned it about six times. There are eight featurettes in the set in total. The first one is called Preparing for War: The Making of AvPR which lasts for 16 minutes. They tell us how the film developed from a conception stage to the production. The second feature is called Fight to the Finish: The Making of AvPR which lasts for 12 minutes. This covers post-production things like editing, visual effects and the musical score. Both features include interviews with cast and crew. There’s three effects featurettes. The first is called AvPR The Nightmare Returns: Creating The Aliens (8 minutes) which covers the creation of the Aliens and the Facehuggers by Amalgamated Dynamics. 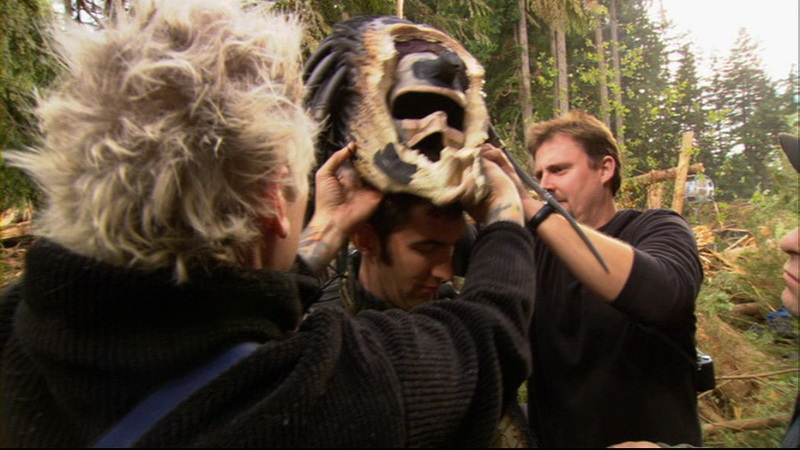 The next feature is called AvPR Primitive Design: Creating the Predator (10 minutes) which covers the creation of the Predator creature. 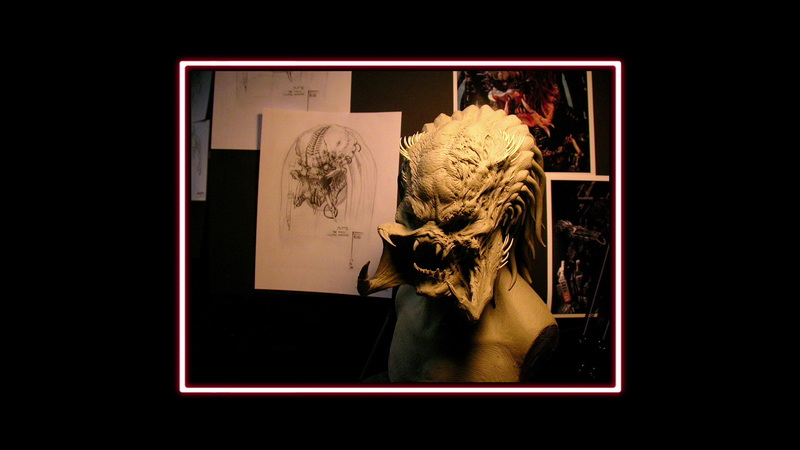 The next feature is called Crossbreed: The PredAlien (8 minutes) covers the creation of the Predalien creature. The last effects feature is called Building The Predator Homeworld (7 minutes) which shows off the early concepts for the Predator homeworld and how it came to be. The last two featurettes are exclusive to the UK release. The first is called Science of the Xenomorph and the second is called Science of the Hunter. The latter focuses on the Aliens while the former on the Predators. They’re basically technical documentaries. Science of the Xenomorph covers the biology and life-cycle of the creatures with interviews with scientists and artists who discuss them if they were actually real creatures. Science of the Hunter does the same thing and covers the technological advancements of the Predators. Both features include interviews with Chris Warner (Comic Artist), Randy Stradley (Comic Writer), Steve Perry (Novelist) and Mike Lynch (who runs Anchorpoint Essays). The Unrated cut isn’t included on the UK set. For some reason, Fox put all these extras scenes in a 20 minute featurette. Some of the new scenes are actually quite interesting. There’s a new opening with the scout ship leaving the mothership around Saturn. A bit later, the Wolf Predator explores the crashed ship and that’s when he found out about the Predalien. Another interesting scene happens at the cemetery with a character called Karl hiding behind a tombstone. The rest of the scenes don’t really add anything to the movie though. You can view this article for a full comparison between the Theatrical and Unrated versions. 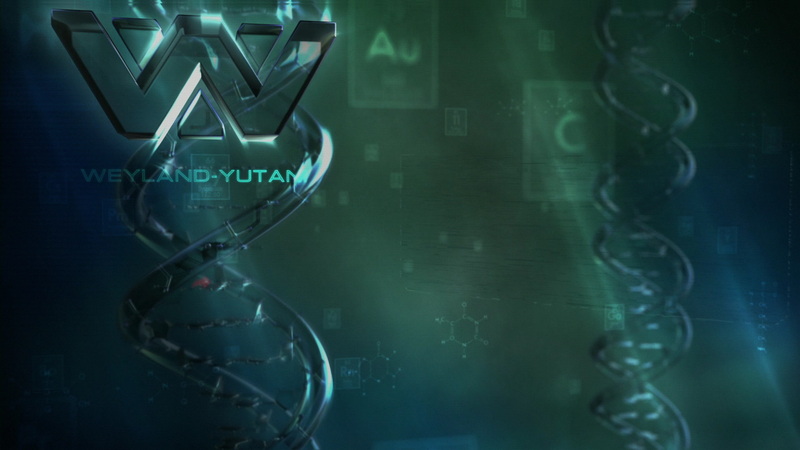 The Weyland-Yutani Archives is an A-Z of the creatures in the AvP universe. The feature provides textual information as well as video clips from the past movies. You can learn about the Alien species, their biology, and their history within the movies. For the Predators, you can learn about their background, culture, weapons etc. My only issue here is that most of the Predator information is based on the comics rather than the movies. You’ve got the standard theatrical trailer for AvP Requiem here as well as bonus trailers for Hitman and I, Robot. The film is an absolute nightmare from start to finish. Once again, 20th Century Fox have outdone themselves by making a film far worse than its predecessor. The film isn’t a total loss, there are some genuinely good moments but the script is just awful. After watching this, I have to wonder if making a crossover with these two creatures just wasn’t meant to be. As for the Blu-Ray set, the picture and audio is good. I’m hoping one day they’ll remaster the film and make it a lot brighter but I don’t see that happening anytime soon. The special features are plentiful too. You’ve got all sorts of features to keep you busy.